Autumn here in the Blue Ridge Mountains is a special time – a riot of colors – from scarlet and deep reds to gold, yellow, chartreuse, deep green, rust, brown, orange, all seen against a true blue clear sky. 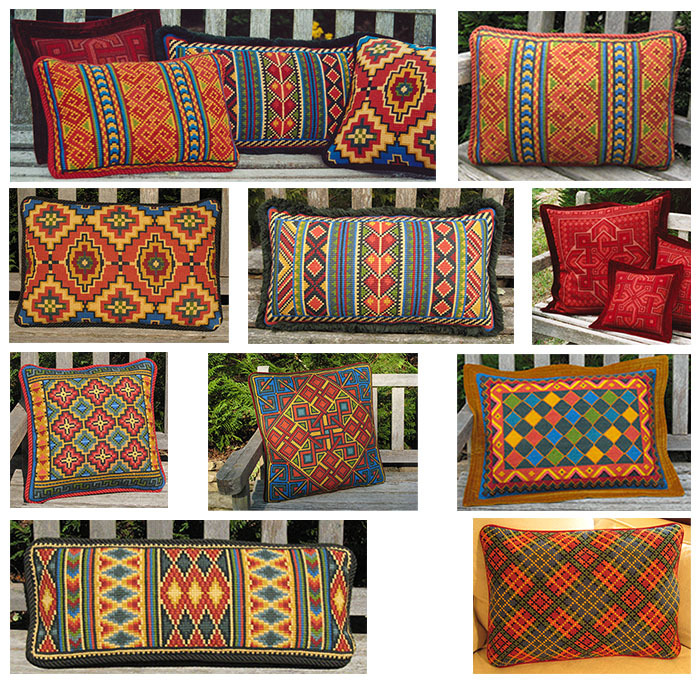 At cross-point™ we memorialize this fleeting moment with a collection of color related patterns for pillows, rugs, runners and coverlets. They are available in many different sizes. 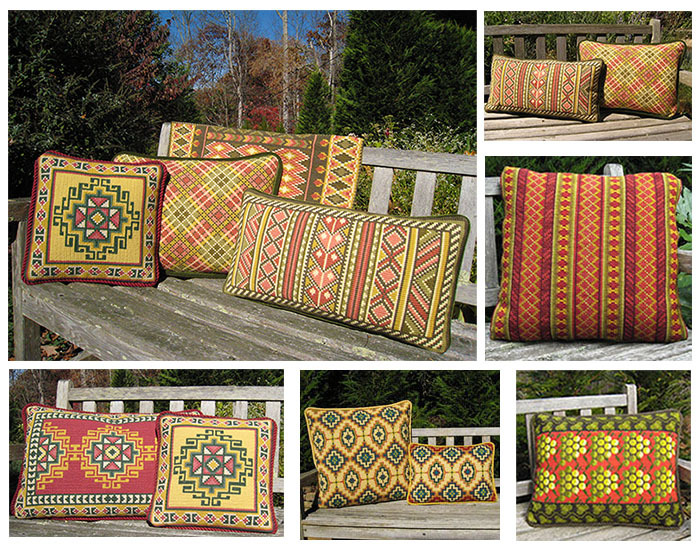 Please visit the cross-point website for more information on individual patterns. I added three groupings of color related patterns to Color Schemes that I hope will inspire you to pull together coordinated colors for stitching to create a warm and cheerful interior during the many gray months of late fall and winter. These bright colors will chase away any gloomy thoughts and feelings. Read more here..
Part II coming up – woodland colors of golden browns, brass, copper, hunter green, hickory and black browns, khaki accents, sand and tan. This entry was posted in Autumn/Early Winter, cross-point Color Schemes, cross-point kits and tagged About cross-point, Autumn Colors, bright cross-point colors, color schemes for stitching, cross stitch kits, crosspoint kits, Interior Design, needlepoint kits. Bookmark the permalink.